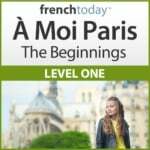 To understand French possessive adjectives, you need to focus on the thing you are describing. If you are describing your dog, what matters is whether this dog is a girl or a boy, not that you are a girl or a boy! Once you’ve understood that, it’s not that complicated. for for a woman, her dog(s). or for a couple, their dog(s). The gender or number of the dog does not matter in English. It’s the gender and number of the owner that matters. 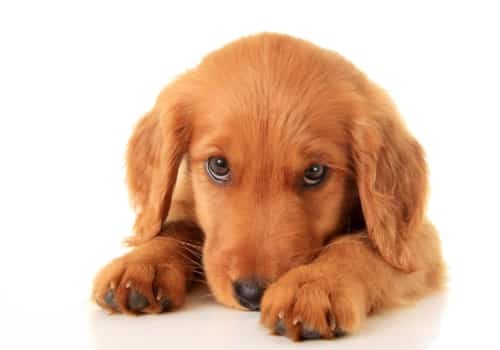 1 – For French Possessive Adjectives, Focus on the Dog! In French, it’s exactly the other way around… What matter is the number and gender of the dog(s), not the owner! So, when talking about a woman, you’d say “son chien” (her male dog). It’s counterintuitive, it sounds weird in English, but it is correct in French. You have to change your focus. In French, you need to focus on the dog! 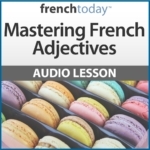 Learn more about possessive, demonstrative, interrogative and regular adjectives and master their tricky pronunciation in my audiobook about French adjectives. First, you need to choose the correct possessive form according to the subject (the owner). Note: the possessive for “on” depends on the meaning of on. It can be “son, sa, ses” or “notre, nos”. “mes chiens” if I have several dogs. So there are several possible French translation for “my dog(s)”. The speaker gender and the number of people speaking do not affect the gender/number of the possessive adjective. In other words, let’s say that we are talking about one male dog. “Anne” would say “mon chien” (not ma chienne), because she has one male dog (the fact that Anne is a woman doesn’t count at all). “Sophie and Anne” would say “notre chien” (not nos chiens), because the both of them only have one dog, and again, what counts is the quantity of dogs, not that Sophie and Anne are girls or plural. If you can build reflexes on this double entry logic, you’ll master the possessive adjectives. Of course, it took an easy example. A living being. But remember that in French, every word has a gender… A book is masculine, a table feminine. Happiness is masculine but joy is feminine… You need to know the gender of the word you are describing to choose the correct possessive adjective in French. Le livre de Sophie = son livre. I understand it’s not easy. Practice does it though. So now let’s go further with French possessive adjectives. This is a mistake I hear too often: “ses chiens” to say “their dog(s)”. Ses chiens = his/her dogs – refers to a 3rd person singular ; he or she. 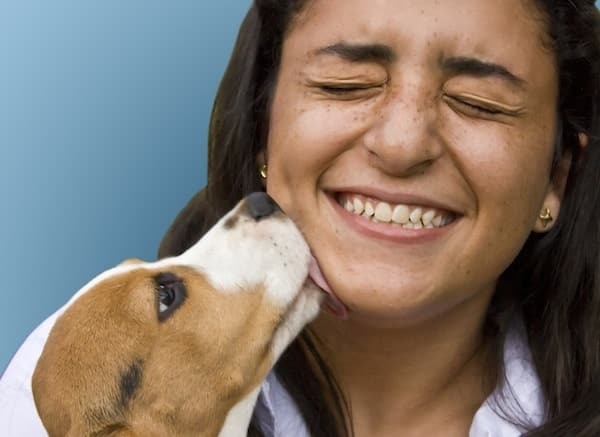 Leurs chiens or leur chien= their dog(s) – refers to 3rd person plural – they. In other words, dont’ say “ma amie” but say “mon amie” with a strong liaison in N [mon Namie]. M’, t’, s’ stand for me, te, se, reflexive pronouns, never possessive adjectives.